Daisy never asks you to feel sorry for her. Daisy is 27-years-old and has only months to live. And, each day, she's finding her way through what needs to be done. Her major worry is what her wonderful, charming husband, Jack, will do without her. She knows that he won't take care of himself so Daisy has to do it for him. As she searches for Jack's next wife, she begins to realise that her plan to ensure Jack's happiness is much more complicated than she expected. 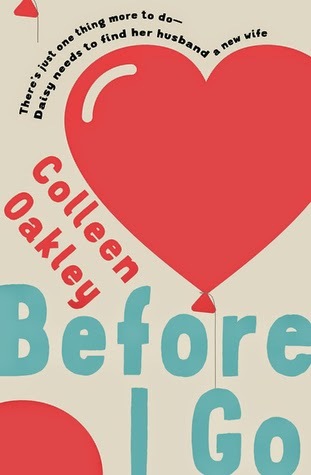 Before I Go is one of those books where you know exactly what you are getting, but it is also surprising light-hearted for such a serious and heartbreaking subject. These days we all know someone who has fought or is fighting a battle with cancer making it easy to relate to the characters in the story and leaves you asking the question, 'what would I do?' This book has left me thoughtful and, dare I say it, a little more appreciative of my health. Daisy and Jack's relationship show us the importance of being able to openly communicate with our loved ones and not to take each other for granted. Before I Go is an emotional roller coaster that is wonderfully written. Definitely recommended, but you might need some tissues. Review copy received from Allen & Unwin Australia via GoodReads giveaway. Yes I am late on the bandwagon for this one and yes it is entirely by choice. I went to the cinema and watched this last week, I put off going, firstly because I hate crowds and secondly because I hate endings. 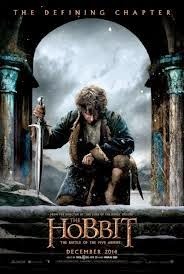 I was having trouble accepting that this would be the last time I would be seeing Middle Earth on the big screen. I know a lot of people had issues with these movies but I personally loved them, They are a beautiful interpretation of Tolkien's books. As usual my family and I were the last ones to leave the cinema. as we always watch the credits, after all the hard work these people put in the least we can do is acknowledge them, and the credits on this movie were worth watching as they were accompanied by stunning art and design sketches from the film. The talent of these artists never ceases to amaze me and I left the theatre feeling heartbroken yet inspired. What a wonderful way to spend a Saturday afternoon. Every parents nightmare is a missing child. When 15 year old Naomi goes missing, the lives of her family start to fall apart. Told from Naomi's mother, Jenny's, point of view, Daughter is a story of betrayals and secrets. The story bounces between the past and the present, slowly revealing information and clues about what happened on that fateful night. The pacing was perfect, with enough information given at the right times to keep the pages turning and the reader guessing. I did find the main character, Jenny, irritating and not very engaging, making her difficult to relate to, but I could not help but feel for her circumstances, despite not liking her as a character. 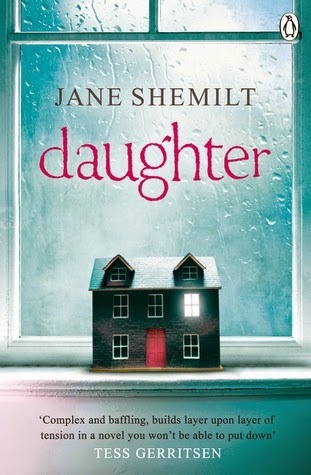 Daughter is a solid mystery and family drama with many twists and secrets that kept me guessing. An engaging read. Thanks to Penguin Books Australia and Netgalley for the review copy.